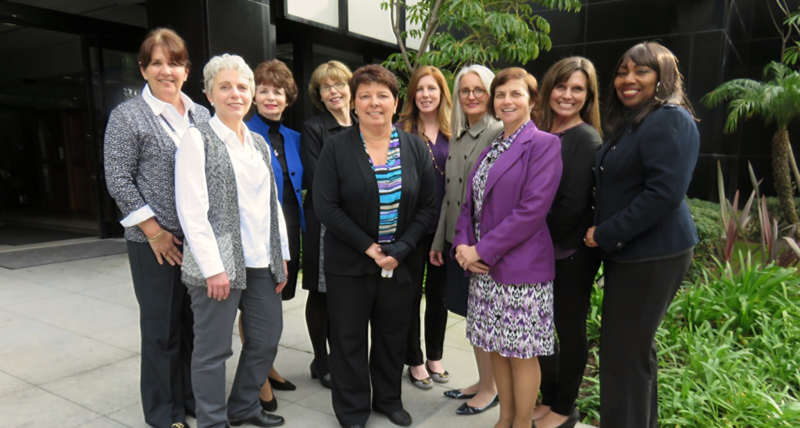 ACNL’s first formally recognized affiliate, the San Diego Chapter has been a leader in providing professional development for members and RNs in the surrounding community for more than 15 years. Since 2001, the chapter has presented an annual Innovations Conference to stimulate innovation in the practice setting, encourage inter-professional collaboration, foster exemplary patient and workplace outcomes and promote the professional advancement of front-line caregivers. Many of the podium and poster presentations are delivered by local RNs, enabling them to develop their speaking skills. Proceeds from the conference support chapter activities and Flo’s Cookie Jar, an emergency grant program for nursing students. San Diego ACNL also offers a professional development session at each chapter meeting and debuted an annual networking event in 2016 to engage experienced and emerging nurse leaders and nursing students in chapter activities. Pictured is the San Diego Chapter’s Leadership Team.